Consider someone who’s deaf, using a mobile phone. They can’t hear, but they can certainly text-message. A blind person, once they’ve learned the key-pad, can talk on a cellphone though they can’t text-message (or rather, they can’t read text-messages, even if they can send them). Now consider people who are blind and deaf… like Helen Keller was. All communication is extremely difficult. If they learn a keyboard, they can type messages — but how do they receive information? In Helen Keller’s case, someone would have to finger-spell the letters into the palm of her hand. Nowadays, they may use modified sign language, but again relying on touching. Now there’s an Android cell-phone app for that. 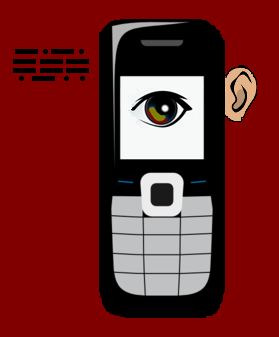 It allows people who have limited or no vision and hearing to “text” each other with Morse code. The phone vibrates the signal. 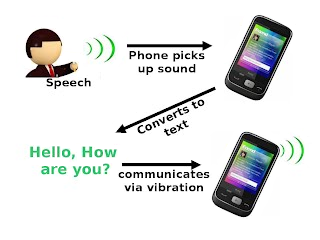 Essentially, the app converts incoming text messages into vibrations in Morse code. But how does a deaf-blind person learn Morse? Well, there’s an app for that, too, which makes the phone vibrate in Morse when you input a letter. Anmol Anand, the developer of this application, is a graduate student in computers in India. His advisor was my friend Arun Mehta of the Bi-directional Access Promotion Society (bapsi.org). The BAPSI website carries both apps, and they’re downloadable for free. The Morse Trainer, together with instructions, can be downloaded HERE. And HERE is a video about the app as well as further plans – like making Wikipedia available as Morse vibrations. This app should prove an excellent way for deaf-blind people to communicate with people who are simply deaf, or with people who are neither deaf nor blind. But… it needs testing, ideally by people in its target audience. Anmol and Arun (and BAPSI) are looking for deaf-blind people who would be willing to field-test it. If there’s anyone interested, e-mail bapsi.org (or me). This entry was posted in General, Intriguing Products and tagged new products. Bookmark the permalink. Thanks for this, Rupa. In case any of your readers are students looking for interesting projects such as this for summer training, they are welcome to join our program at Bapsi. can you please tell me the use of morse code for persons with physical disabilities? ?